3. Output sockets for charging and tapping power to bread board. Hacked my Laptop battery and charger to make a Portable power supply. My old Laptop was irreparably damaged leaving only a good battery. It is a high performance 12 volt Lithium Ion rechargeable battery that can backup more than 2 hours a laptop and many hours for circuit boards and LED lights. So I made a Portable power supply using the battery. So don’t discard the battery and charger if your Laptop fails permanently. Both battery and the charger costs around Rs. 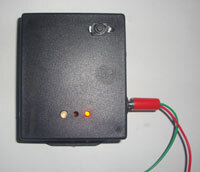 2000.It can be utilized for making a Power supply or LED lamp. So it is the good power supply I ever made because it is running on battery and output is fully regulated. For bread board assembly of Micro controller and Arduino projects ,we need well regulated 5 V and 3.3 V DC power supply. 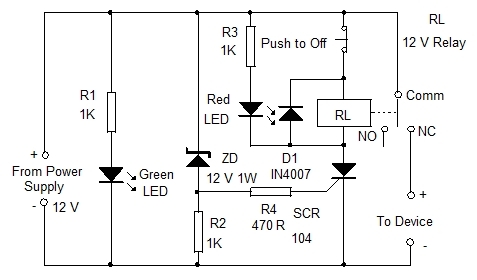 Here is the simple but efficient regulated power supply that gives four stage power outputs – 12 V unregulated, 9 V, 5 V and 3.3 V regulated DC . Here is a solution to protect your circuit assembly on Bread board. Usually we test the working of a circuit first on bread board before making the PCB assembly. Sometimes due to mistake in wiring, valuable components may destroy through short circuits. With the power on , we still continue the trouble shooting which may further destroy many components. Only after sensing heat or burning, we realize the problem. 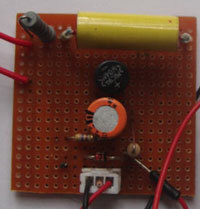 So here is the simple solution to assemble the circuit on bread board safely. If there is any short circuit in the bread board, the power to the board will cut off and Red LED lights. So immediately we can detach the board from power supply.